If you ordered this in a restaurant you will probably get fleeced, as well as have no idea if your fish was fresh in the first place. This is so quick and simple to prepare, you will want to grill it whenever you can. Rinse fish and pat dry; prepare grill for moderate direct grilling. Score fish with diagonal slices on either side. 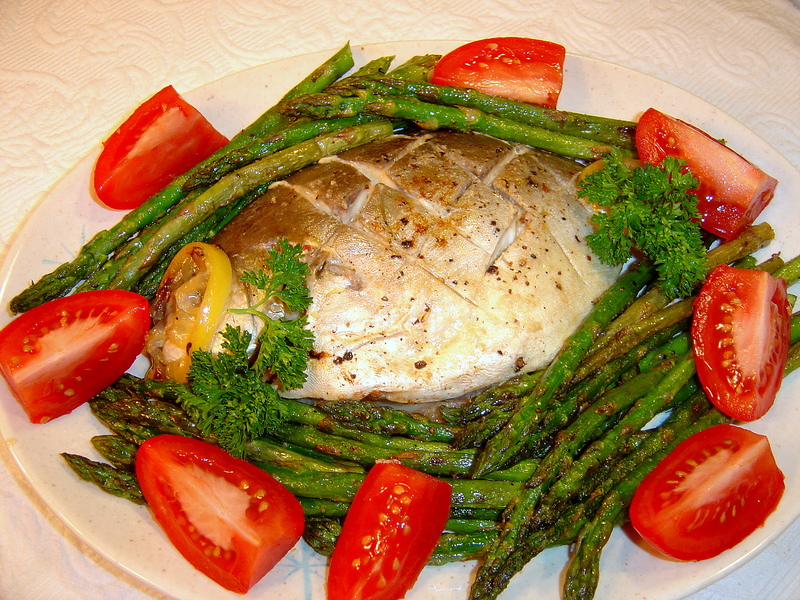 Place fish on a sheet of nonstick foil; season with salt, pepper, and garlic powder. Drizzle each side of fish with oil. Slice lemon thinly and place slices across each side, and stuff the ends of the lemon into the cavity. Cover with another piece of nonstick foil and coil up edges. Grill over moderate direct heat for 10 minutes per side, or until flaky. Serve with additional lemon if desired.